If your overhead garage door or door opener is giving you problems in Avon, we will be glad to show up and fix it as soon as possible. Signs of trouble include but are not limited to screeching or grinding sounds, erratic movement and a crooked appearance. 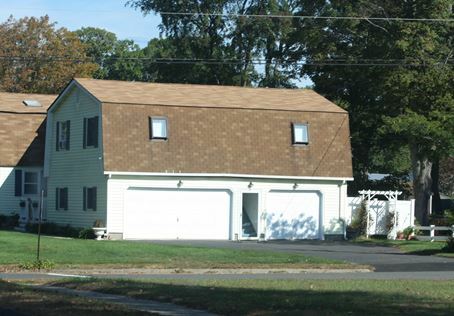 If you've occupied your Avon home for a while, those could be the symptoms of wear and tear. We understand how inconvenient this can be to your schedule and your home's security. We quickly service all brands of doors and motors, even if they were previously installed by another company. 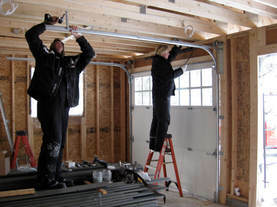 After we find out what's causing the trouble, we have all the necessary parts to get your garage door up and running. We make sure every member of our crew gets up-to-date training in repairing overhead garage doors and programming remote controls.